This workshop is targeted at people who would welcome guidance in developing a freer style when using acrylic paints and inks. It is based on Sharon’s own vibrant, colourful style and experimental approach to painting. Some basic principles about using acrylics will be covered on day one – including materials, paints and mediums – and will also include tips on composition, colour mixing and paint techniques. There will be demonstrations and plenty of opportunity to try various techniques and be as inventive as possible. On day two, everyone will have a chance to apply their new skills and techniques by working on their own painting, inspired by landscapes and flowers. Sharon Black has had a passion for art as long as she can remember. As a child her vivid imagination was fuelled by a love of reading and old movies which spilled out in the form of drawings or paintings. 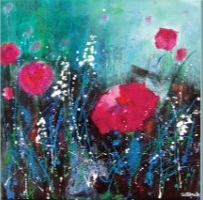 Currently, she paints striking, mostly floral abstracts in bold, vibrant, energising colours. She is inspired by nature’s rich colours and shapes and interprets them in unusual textured acrylics. More recently she has been experimenting with acrylics and ink. She uses a variety of mediums, always seeking to make an impact with colour and texture. 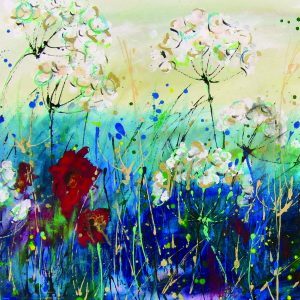 This has developed into using various textures either on canvas or paper, including glue, gesso and versatile acrylic mediums. 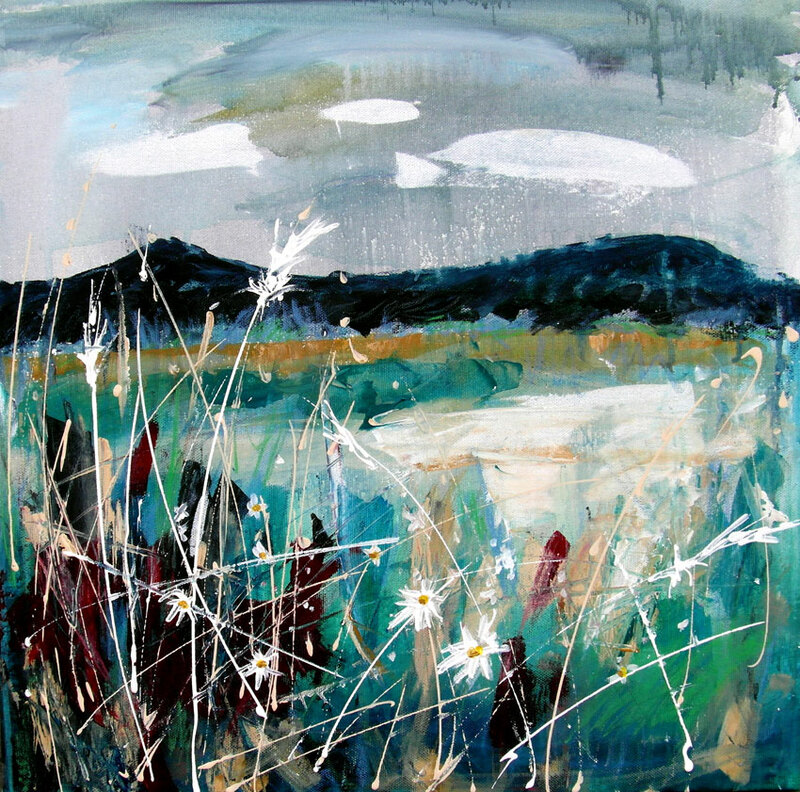 She regularly exhibits at the annual Open Studios North Fife event in May, and in various venues throughout Fife. For more information or to keep up to date with her work please visit www.facebook.com/sharonblackart or http://www.sharonblackart.com/. Cost £90, including some materials.